Renée LaTulippe has successfully launched The Lyrical Language Lab: Punching up Prose…with Poetry, her online poetry course for children's writers. It's an amazing course (see my review as a beta tester), and I encourage any kid lit writers who want to learn more about poetic techniques to take the class. She is running a giveaway that goes until Feb. 21. I love loVE LOVE the banner desdigns, Sylvia! I am in awe by the talents of the 411 crew. These banners are so gorgeous and they look clean and professional. Can't wait to see some more banners pop in different places! Love your work, Sylvia! 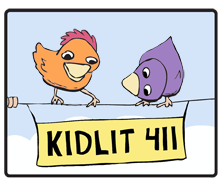 The odd bird out on The Lyrical Language Lab is a hoot. Love! Love! Love! Wonderful job, Sylvia! Those are such fabulous logos!! 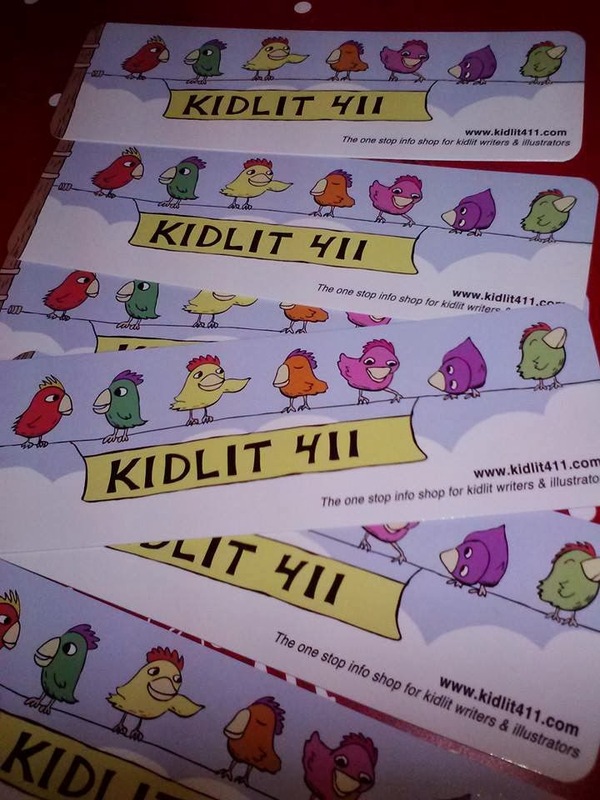 I can't wait to hand out the KidLit ones at the next conference I attend! Yay, Teresa! I can't wait to see those bookmarks too. Darling birds! I like the penguin, especially! Why did I never see this post?? I LOVE my banner and badge, and am so happy you were able to sneak a penguin in there. Thank you for sharing your talents with me! I loved working on these! Forward EdgeAmiable articles and the blogs really helped me a lot, thanks for the valuable information.